The fee per site at our markets is currently $40 plus $6 for public liability insurance through One Underwriting for stallholders without their own insurance. Stallholders who are offered a site will be sent an invoice and are required to prepay for the site to confirm the booking. 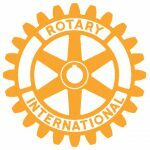 Make sure you have read the information about our markets at Rotary Club of Orange > Markets before applying. So we can give you publicity and direct inquires to your site. Preferred number of sites or anything else you would like to tell us.